Register Log In GliderCENTRAL Forums Regulations & Laws legal or illegal in Canada? I was told by someone today that sugar gliders are illegal in London, Ontario, Canada. 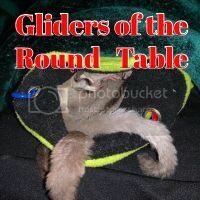 When I got my gliders they were definitely on the legal list. The London bylaw is as unclear as when I got them, and the site that lists legal and illegal cities in Ontario doesn't list London in either list. So are they currently legal or illegal? Anyone from Canada that can help out here? Honestly Neets the bylaws on this for our area (I'm in Windsor) are so vague. When I researched this, I couldn't find anything that strictly said they ARE legal or require a permit, but I also couldn't find anything that said otherwise. Anyway, I finally just up and decided to call the Windsor bylaw office. I explained I was researching them, but I couldn't find anything clearly stating that I couldn't get them or that I needed a permit. He did have to get back to me, but he told me 100% they are ok for Windsor. My suggestion to you is to do the same. Don't just take someone's word for it. If you already have gliders, I would suggest not mentioning that part if/when you call. Just say you're researching them and go from there. Last edited by Lisette; 02/20/14 12:27 PM. Thanks for the advice. The local animal care center says illegal. This is a change since I original researched them. I also noticed Hamilton use to say they were illegal and are legal now. Guess it can change with every rewrite of the rules.